We have had that uncanny desire to put our face over the boiling pasta or soup, for the love of steam. While many beauty enthusiasts do not suggest we take so much heat directly, but there simply is nothing that matches the soothing, calming and refreshing vibe which a facial steamer can give. While we must first check with a dermatologist before proceeding with any home based treatment, and only then we can be assured that the home care for our skin is not affecting our kind of skin, negatively. We all have had those amazing facials where soon after exfoliation we get to enjoy the warming and pleasing facial steamers, and feel the blackheads and dead skin extracted off our face. Yes in addition to the many benefits of facial steamer, it helps in getting rid of those embarrassing blackheads and whiteheads. There is no other treatment which can help us get rid of this creepy outgrowth around our nose, chin and some areas on the cheek. 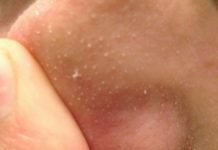 Let us look into an in-depth analysis about facial steamer for acne and blackheads, also understand which kind of skin would most benefit from it. and facial treatments. This treatment put our face through steam soon after the exfoliation and massage is done on the face. It opens the pores of the skin and loosens the blackheads or acne too. These blackheads can then be easily removed from the skin. Also since the facial steamer opens the pores. Facial steaming cleanses the skin deeper and removes infection causing particulates thus it helps in clearing the skin. While many dichotomies exist on the usage of the facial steamer. Most of all, one thing is evident; that it all comes down to one simple aspect which is the type of your skin. Not all skin types are good with facial steamers. But the percentage of skin types where facial steaming cannot be applied is hardly 15-20% and rest all the skin types must be given facial steaming for healthier, cleansed, nourished and infection free skin. If you are using facial steamer too frequently then probably you would end up hurting your skin more than benefiting from the treatment. Also, there are some really important factors which a significant role here, like genetics, lifestyle, diet, skin type and also extraneous factors like pollution, sunlight, and dust. For healthy skin and normal skin type facial steamer benefits are ample but for too oily or too dry skin you may have to get examined from a professional. For weak skin which is very sensitive, you must have larger gaps between two facial steaming sessions. The major benefit and usage of facial steaming is it deep cleanses your skin. Our skin needs natural and deep cleansing to stay off dirt and infection causing microorganisms. The steamer gives heat treatment to the skin which is conducive to open the pores and deep cleanse the skin effectively. Then when we cleanse and scrub the skin is rid of any infection and excess oils which get deposited in pockets under pores. Facial steamer for home use has found relevance and popularity largely because of the way it helps in getting rid of black and white heads which are a curse to our beauty. With excess sebum depositions around follicle, our skin gets blackheads and they must be removed regularly to prevent any pimples and acne further. When steam is applied, our skin pores loosen and open up which helps us in removing these accumulations causing blackheads as they melt this hardened sebum follicle complex. This then runs out from the pores leaving fresh and germ free skin pores. Heat treatment through facial steaming helps in fighting the signs of aging like wrinkles and lines. Steaming the face helps in thermoregulating response on our skin that is blood vessels dilate under the skin thus fresh blood flow is triggered throughout the skin cells. Heat treatment and moisture helps in making the flaky and dry skin to get deeply hydrated. This helps in skin get more absorbent and thus curing the dry patches on skin surface. When heat treatment is applied on skin it not just helps in opening up the pores but deep cleanse and removes grime and dirt in addition to excess sebum thus making the skin ready to take in further beauty treatments. Since steaming would require you to close your eye and for a moment just not think much. It thus helps in connecting you from deep within while the skin gets a hydrating, cleansing and lightening treatment. It gives your skin some really strengthening tendencies which make your skin less and less susceptible to infection causing germs. Facial steaming helps in moistening thus the dry air effects are reduced which badly impact your sinus causing acute pain and discomfort. For more congested sinus, add some eucalyptus oils while steaming as this would ease off the passage thus helping in promoting clear inhaling and exhaling. Dead skin makes us look old and exhausted, but when you use facial steamer it brings a refreshing update to the skin. It helps in bringing fresh inflow of blood and oxygen supply which helps in shedding dead skin off our system. Our skin pores get clogged and it may also trap makeup particulates along. This results in infection of the skin. When these chemical causing harm stay clogged inside the pores they may result in pimples and acne also some severe skin deformities. Steaming helps in clearing those left over makeup particles which are not easily removed by usual toning and moisturizing routine. It is very important to warm up the skin not just from upper layer but deeply too as it helps in increasing the blood flow and also clearing out free radicals which may even end up into cancer causing particles. Why does it even matter to have a fairer skin! Most certainly not for any other reasons but to bring out your natural skin color. The one that you wear or have is not your natural color post all the infection and dirt attack. Steaming would just give your skin a natural glow thus lightening it and clearing the blemishes or tan the skin got over a period of time. Steaming face benefits are ample and while we just proceed with when facial is done, we must do it more often say every 2-3 days if we have healthy and supple skin. Pick aromatherapy options along with facial steaming at home so gather herbs which your skin type goes well with. Also, essential oils can be used along. For oily skin use rosemary, peppermint and sage. For dry skin use rose, borage and lavender. Boil 4-6 cups of water in the large pot and it is better to go with distilled water. When the water begins to boil add the herbs to it. Then turn the heat to low and let it simmer while you stir with a wooden ladle. Meanwhile, wash your face with a mild face wash and wipe it well. If you have makeup on it then first follow the makeup removal process, cleanse and tone only then wash it well. Do not apply any moisturizer. Now drape the large fluffy and thick towel over your head to from a tent beginning from after the large bowl holding water until your back. Hold your face 8 inches above water to begin with and keep moving your face near and far to get steam at all places on your face. Keep steaming for around 7-9 minutes and move your face too, do not go too close and do not stop until 5 minutes and minimum 5 minute steam is needed. You can now use a dry towel to rub over black heads to get rid of them or use the tool carefully. Now take some lukewarm water and splash on your face. Then bring the clean piece of towel and pat your face dry gently. Steaming brings in a lot of heat to the skin thus it dilates the blood vessels thus causing flushing, inflammation and also leading up to rosacea. Steam may also cause your skin to discharge the basic minimal required sebum or oils which are necessary for the skin nourishment. So looking at the above it is required for us to first carefully get our skin examined and only then proceed with facial steaming at home. Also too frequently or too less facial steaming will also affect adversely so stay up with the prescribed procedure for your skin type. Facial steaming procedure must not last any longer than 15 minutes and any lower than 5 minutes for best effectiveness. Drink plenty of fluids before and post facial steaming as it may cause dehydration. Do not use any chemical products soon after steaming face as the skin pores are cleansed and receptive to all treatments now on, but if harsh chemical based products are used it may affect the skin adversely. Be sure to keep your face at a distance between 4 inch to 8 inch for best benefits. If you go nearer than 4 inches it may burn or damage your skin. All the items used for facial steaming must be washed and disinfected for the skin must be free of any infection. Using mineral water or distilled water is preferred as normal tap water may affect sensitive skin badly. For people with sinus which is congested use eucalyptus oil. For sensitive skin check with your dermatologist before proceeding. Noise levels must be very low for the device as we are looking for relaxation and peace of mind. Steaming face everyday benefits may not be more than the damages so better check the frequency with your dermatologist. And go ahead with routine steaming for long term benefits. Share ahead and keep writing us, we love hearing from you! 20 Best Home Remedies For Skin Lightening At Home – Bring On The Glow On Your Face!